How to watch The Crucifixion (2017) on Netflix Portugal! Sorry, The Crucifixion is not available on Portuguese Netflix, but you can unlock it right now in Portugal and start watching! With a few simple steps you can change your Netflix region to a country like United Kingdom and start watching British Netflix, which includes The Crucifixion. We'll keep checking Netflix Portugal for The Crucifixion, and this page will be updated with any changes. 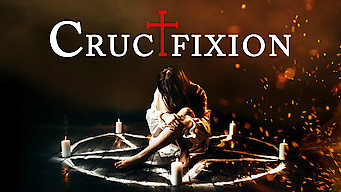 The Crucifixion is not available in Portugal BUT it can be unlocked and viewed! An ambitious reporter comes face-to-face with the inexplicable when she travels to Romania to investigate a nun's suspicious and brutal death. Was it a brutal murder or an exorcism gone horribly wrong? To uncover the truth, one reporter may pay the ultimate price. There is a way to watch The Crucifixion in Portugal, even though it isn't currently available on Netflix locally. What you need is a system that lets you change your Netflix country. With a few simple steps you can be watching The Crucifixion and thousands of other titles!